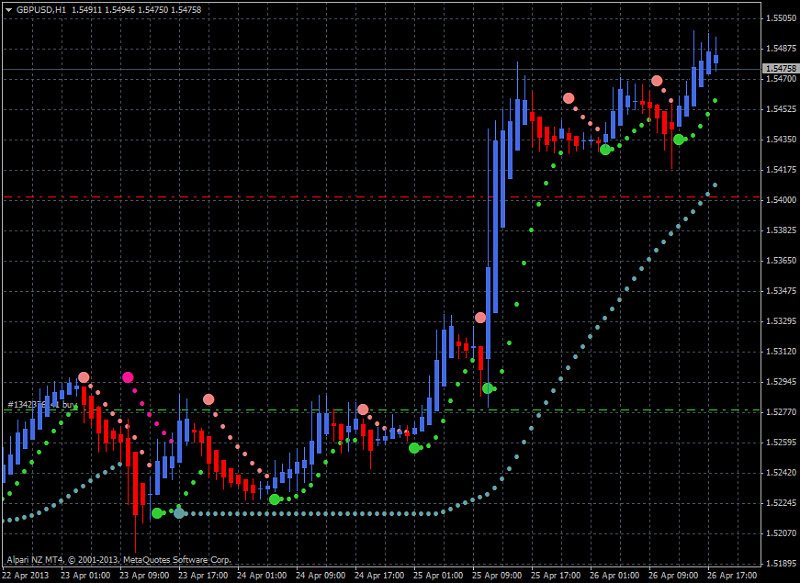 Heiken Ashi indicator from this post. Template file for this system is on this post. Open chart, right mouse click on the chart, select our template by name, and indicators with the settings will be loaded (you should have the chart similar with above one). 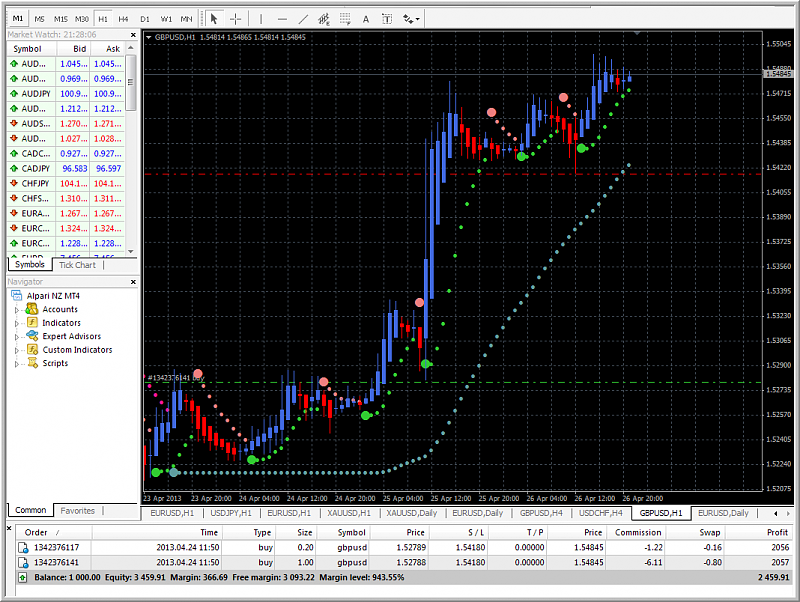 - This variation of the system is using AllTrendEnvelopes Histo_v2.1 600+ indicator from this post. 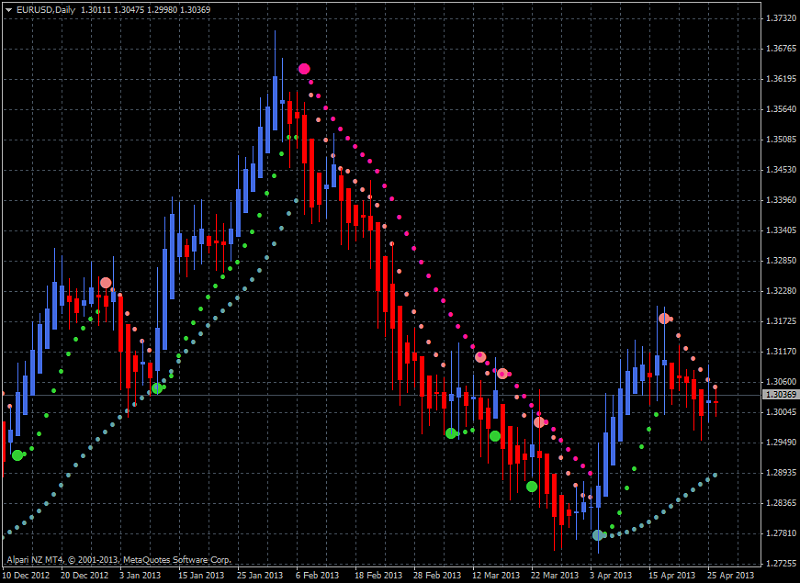 - this version of Heiken Parabolic system is using Digital filters - separate 600+ indicator from this post. - template for this version is here. I used this script to place the trades. As it is the scalping so I used tp = 30 in script's settings (or 3 pips), or tp = 50 in the settings of this script (or 5 pips) for example. 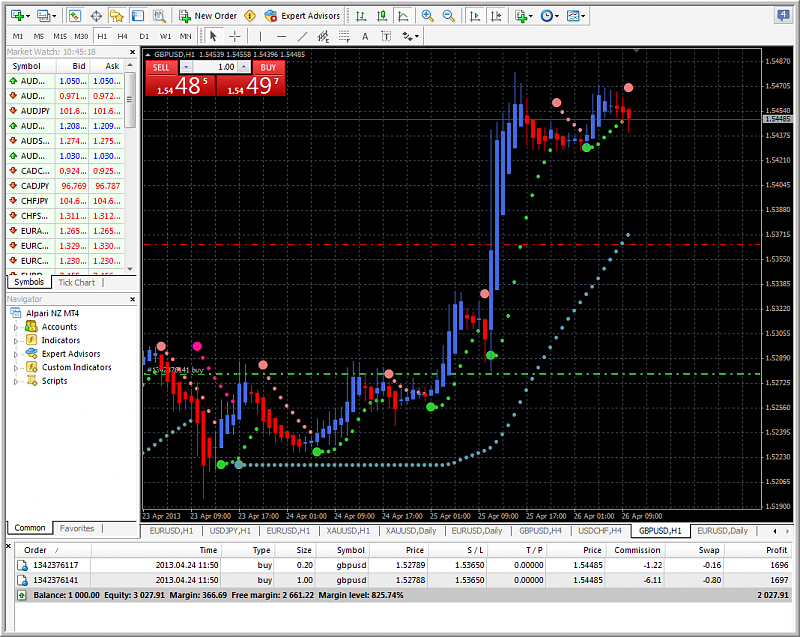 +366 pips in profit for now. 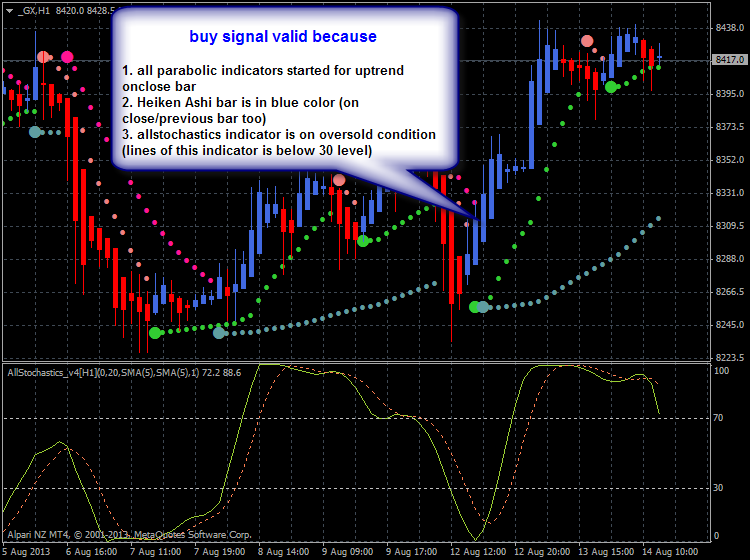 Rules are very simple: if all the indicators agree - you open sell or buy. 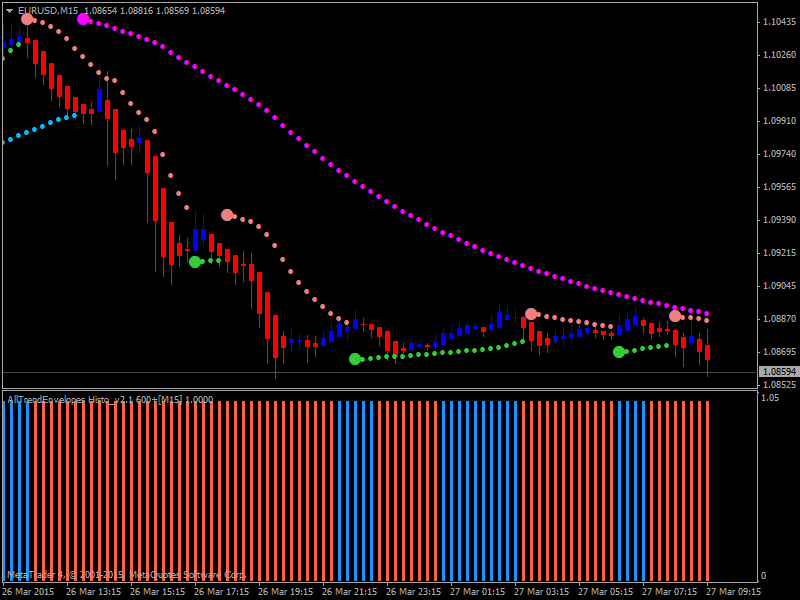 I think - this system may be improved for AllStochastics_v4 indicator from this post with default settings. 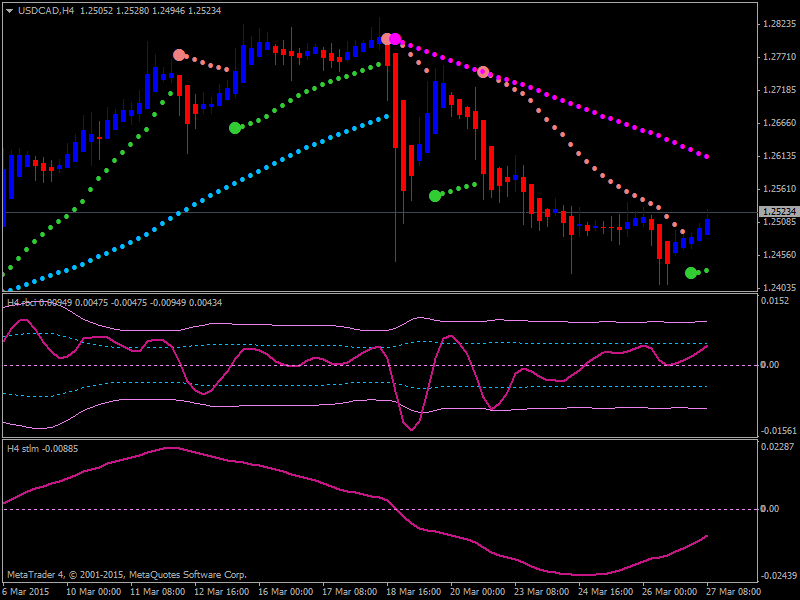 I mean - this AllStochastics_v4 indicator can be used as a filter working in overbought/oversold way. AllStochastics_v4.1 600+ is on this post. 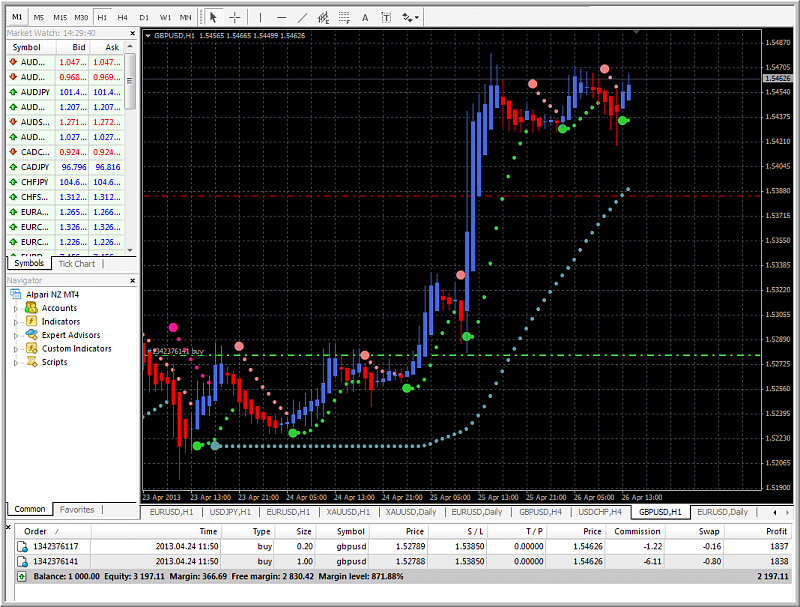 This is bug fixed version working with Metatrader 4 build 600 and above. D1 may may good in anyway ... but we will not get many trades (it is just for future possible EA for example). 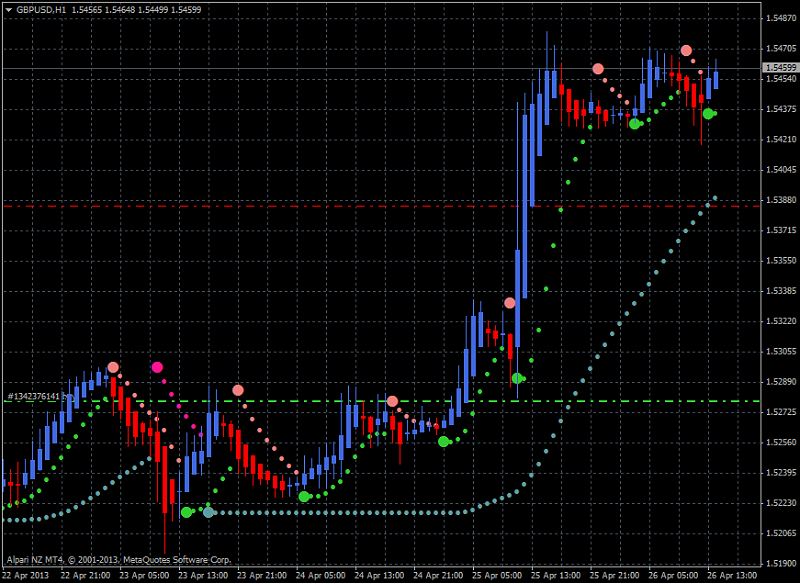 I like H1 or H4 for manual trading. 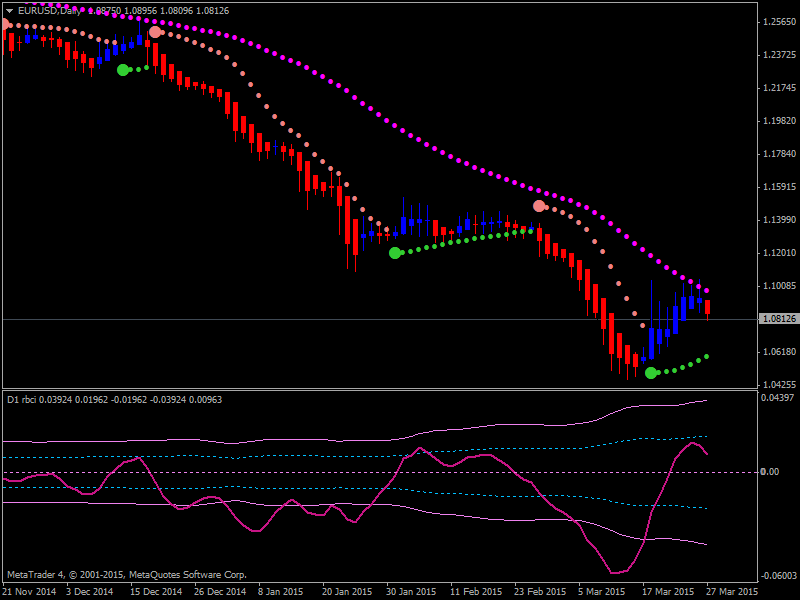 It may be good to try this system on M1 or M5 timeframe but I think - we should think about exit in this case.